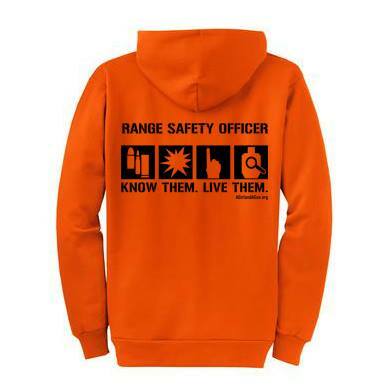 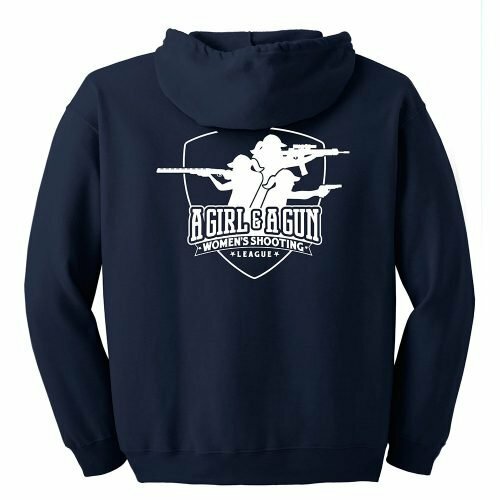 This feminine hoodie features a vintage rifle cigar-band logo. 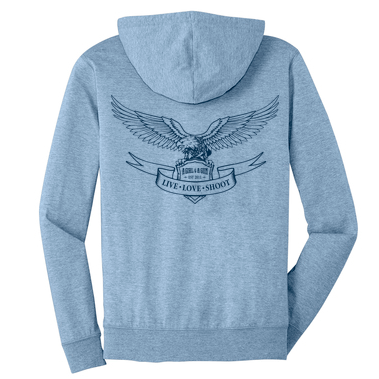 The soft fleece is perfect for cool days! 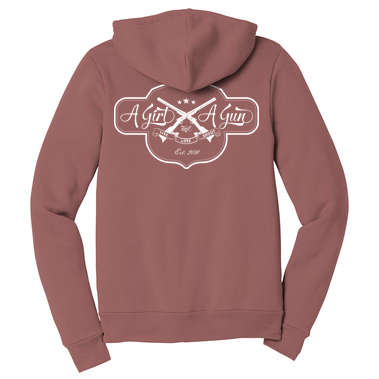 This hoodie is a feminine option with the vintage AG & AG cigar band logo. 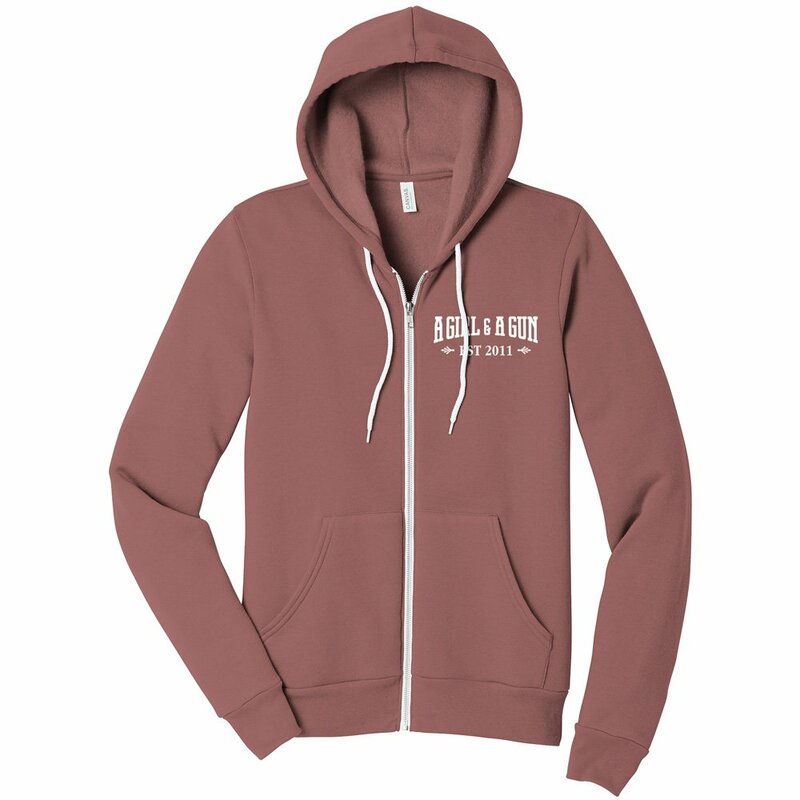 The soft fleece is perfect for cool days!